U.S. Factory Jobs are Gone? The headline in the latest BusinessWeek article (Jan.27-Feb. 4, 2014) reads: Factory Jobs are Gone. Get Over It. The magazine writes: “Politicians think creating millions of high-tech manufacturing jobs is the answer. It isn’t.” Over the past 60 years, U.S. GDP increased from $2.6 trillion to $15.5 trillion, which means that absolute manufacturing output more than tripled. Those goods were produced by fewer people. The number of employees in manufacturing was 16 million in 1953 (about a 1/3 of total nonfarm employment), 19 million in 1980 (about a 1/5), and 12 million in 2012 (about a 1/10). Service industries have taken up the slack. Even much of the value generated by U.S. manufacturing involves service work—about a 1/3 of the total. More than 1/2 of all people still employed in the U.S. manufacturing sector work in such services as management, technical support, and sales. Over the past 30 years, manufacturers have spent more on labor-saving machinery and hired fewer (but more skilled) workers to run it. From 1980 to 2012 across the whole economy, output per hour worked increased 85%. In manufacturing output per hour climbed 189%. The proportion of manufacturing workers with some college education has increased from 1/5 to 1/2 since 1969. Developing countries have taken over much of the low-skilled, low-capital production once done in the U.S. Consider the garment industry or tire manufacturing. Such low-tech work is even more mind-numbing and poorly paid than it was when the work was done in the U.S. through the 1970s. Many of the workers killed in the recent Rana Plaza garment factory collapse in Bangladesh earned just $3 a day. Some politicians have regretted the loss of similar jobs in the U.S. The question is: Do we want such jobs here now? For every $1 spent by the federal government on retraining workers and helping them find jobs after they lost theirs to trade competition, the U.S. spends about $400 on Social Security and disability payments for those who exit the workforce rather than seek new work. So perhaps retraining programs are the solution. The technique could cut delivery time and discourage consumers from visiting physical stores. Amazon says it may box and ship products it expects customers in a specific area will want – based on previous orders and other factors — but haven’t yet ordered. The packages could wait at the shippers’ hubs or on trucks until an order arrives. In deciding what to ship, Amazon said it may consider previous orders, product searches, wish lists, shopping-cart contents, returns and even how long an Internet user’s cursor hovers over an item. Today, Amazon receives an order, then labels packages with addresses at its warehouses and loads them onto waiting UPS, USPS or other trucks, which may take them directly to customers’ homes or load them onto other trucks for final delivery. It has been working to cut delivery times, expanding its warehouse network to begin overnight and same-day deliveries. 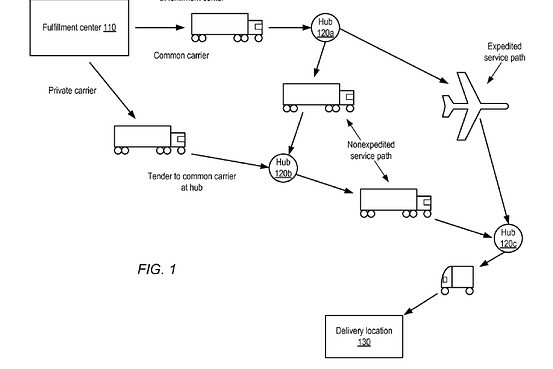 The patent demonstrates one way Amazon hopes to leverage its vast trove of customer data to edge out rivals. 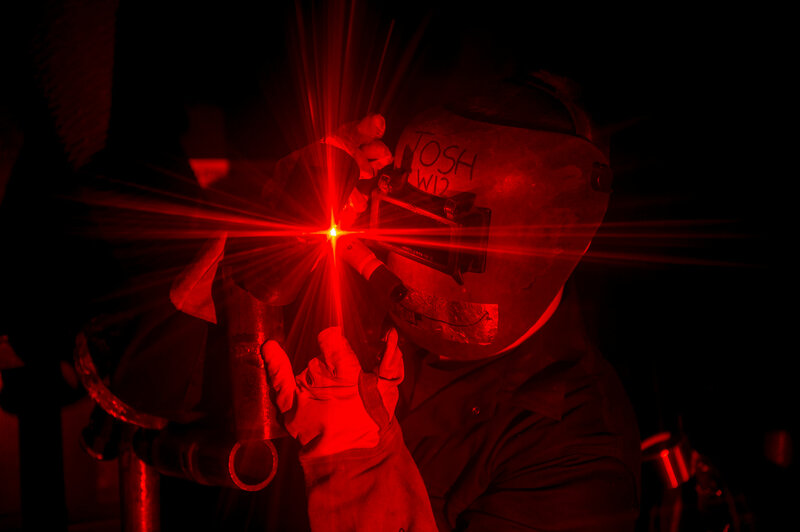 Despite relatively high unemployment in Britain, especially among young people, there is a marked shortage of skilled manufacturing workers, writes The New York Times (Jan. 20, 2014). The problem is so acute that the government and industrial companies are behind an unprecedented push to get teenagers into apprenticeships to close that gap. The British government is trying to catch up with Germany and Switzerland, which have retained their competitive edge with the help of well-honed apprenticeship programs. A third of employers across Europe say that the lack of skills is causing major business problems in terms of higher costs, insufficient quality and lost time. 27% of the 2,600 companies surveyed by McKinsey note they have left an entry-level vacancy unfilled over the past year because there were no eligible applicants. Statistics like that, and the fact that about a quarter of people under 25 are jobless in Europe, prompted Britain to act, committing £1.57 billion to apprenticeship training last year. About 2.7 million new jobs in British manufacturing are expected by 2020, of which 1.9 million will require engineering skills. Companies will need to double both the current number of qualified recruits and of apprenticeships to fill those positions. Britain is among the worst in the developed world at equipping its young people with numeracy and literacy skills. The career aspirations of high school students showed them to be heavily skewed toward jobs in acting, media and professional sports. Part of the challenge for Britain is turning around the bad reputation that apprenticeships can have, often being associated with dull, menial tasks that evoke images of Oliver Twist, the Dickens character who faced life as an apprentice to a chimney sweep. Britain has a record of apprenticeships back to medieval times, when boys were hired as young as 7 and often worked in brutal conditions. France’s rigid labor market and the influence of labor unions has long been a source of aggravation to employers. The country’s 3,200-page labor code embodied what the government acknowledged was a “cult of regulation” that choked business. Procedures for shedding workers when economic conditions deteriorate are lengthy and expensive, and businesses pay high taxes to help fund France’s social welfare system. For an employee earning 1,200 euros a month, employers pay an additional €1,000 in tax and pension costs. 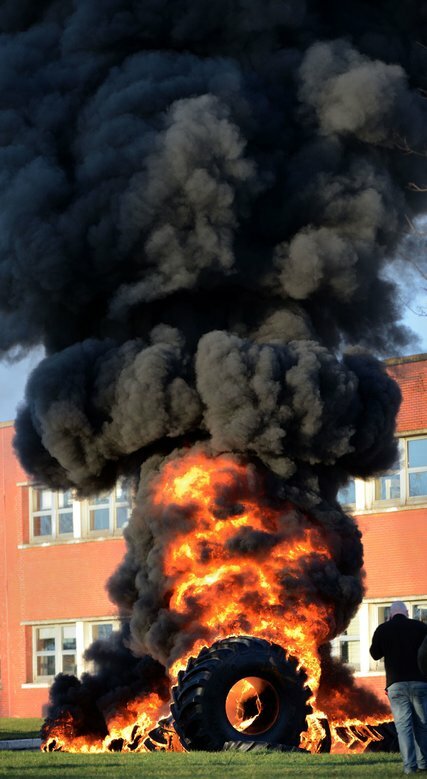 Unions at the Goodyear plant had been demanding severance packages of €80,000 ($110,000) plus €2,500 for each year worked. In recent years, French employees took executives of Caterpillar hostage when talks over revamping the company’s operation broke down, trapped the CEO of the group that owns Gucci, while bosses at 3M and Sony were held in an attempt to get bigger severance packages. Elon Musk recently made the cover ofFortune (Dec.9, 2013) as its 2013 Business Person of the Year for his famous creation of both Tesla and Space X. The article recalls that just a few years back, the best most people could say about electric cars was that they would be great for sustainability, but for the foreseeable future they’d be horribly limited by range and wouldn’t be very appealing to drive. Battery technology was simply too expensive and too heavy for it to be otherwise. The key breakthrough was to switch to lithium-ion battery technology, an expensive technology used not in cars, but in computers and phones. Musk believed that if you could combine large enough numbers of lithium-ion cells into a single battery, you could provide not only adequate range for a car but also power capable of turning the humble electric car into an object of desire. Musk wasn’t the first person to have that insight. 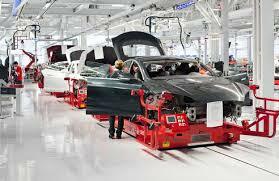 His genius was to take that core idea to its logical conclusion and integrate it into a broader picture of how a series of such cars could be manufactured and marketed for ever-shrinking costs, in a sequence that would eventually bring Tesla to the mass market. A full seven years ago, he posted an article titled “The Secret Tesla Motors Master Plan,” which outlined the basics: three generations of cars, first the super high-end sports car, then a sporty 4-door family car, then a mass market car. And underpinning it all, the conviction that the cars wouldn’t just work, but be lusted after. IT BEGAN with a boom. In 1947, Chuck Yeager became the first man to break the sound barrier. He flew from Edwards Air Force Base in the Mojave Desert, America’s main center for experimental military flights. This base was out-of-the-way of prying eyes and surrounded by landscape into which a crash (and there were many) would not inconvenience anyone. Now, reports The Economist (Dec.21,2013-Jan. 4, 2014), the Mojave Desert is emerging as the site of a cluster of what has come to be known as New Space. The center of activity is 20 miles from Edwards, around the Mohave civilian airfield, now dubbed the Mojave Air and Space Port (see photo). 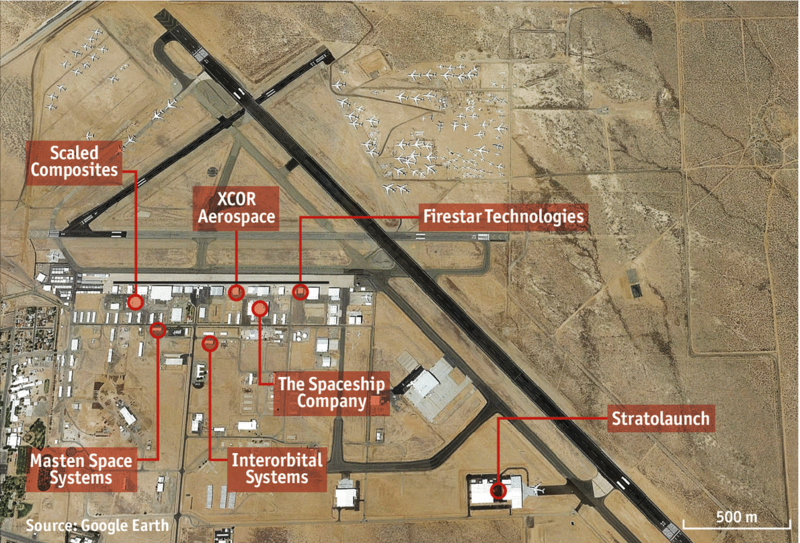 Today, 17 rocket and space-related companies operate in the Air and Space Port. Most hope to make their money from launching satellites. Two, though, plan to enter the trade of taking tourists into space.Scaled Composites has designed and built SpaceShipTwo, a rocket plane intended to carry paying passengers to 100km above Earth using a hybrid rocket engine. Competitor XCOR’svehicle, Lynx, plans to fly this year. It, too, is a rocket plane, but is designed to take off from a runway under its own power. Stratolaunch Systems proposes to take the air-launched-rocket principle and push it to the limit. Orbital Sciences makes an air-launched rocket, Pegasus, which is used to put satellites into orbit, and the firm also has a contract to resupply the International Space Station. Firestar Technologies is developing a liquid fuel that requires only one tank and no complicated mixing mechanism in the motor, which simplifies engineering. Interorbital Systems is designing small, cheap rockets that can be strapped together in bundles, using as many as are necessary to lift a given payload into orbit.